Bob was nominated by his peers and selected because of the quality dining experience he gives to the Veterans. Bob recently incorporated a grill in the main dining room so residents can special order from a large variety of dishes. He also ensures Veterans on the Special Care Unit receive the same dining experience as everyone else via a wireless tablet ordering system. Bob also goes above and beyond his regular duties by fulfilling special dining requests for Veterans after kitchen hours. Recently, a Veteran on hospice who doesn't eat much made a special request for fried potatoes. Bob fulfilled the Veteran’s wish, making a difference in his end of life experience. Bob sets an example for staff to always go above and beyond to see that the Veterans receive special dining requests when and how they want it. Bob will be honored January 15, 2014 at 1:00 p.m. at the Missouri Veterans Home – St. James in St. James, Missouri. Rick was nominated by his peers and selected because of his selfless volunteerism when it comes to Veterans causes. Rick recently volunteered to help with the 1st Annual Barbeque Bivouac held by the Missouri Veterans Home – St. James Assistance League. His willingness to offer advice and recommendations gained from his previous experiences in planning fundraising events aided in making the Bivouac run very smoothly and become a tremendous success. Rick makes it a point to honor Veterans regardless of whether he meets them on the job or in the community. He has been reported to have given freely of his time to participate in events honoring Veterans even if it meant using his own vacation time. Rick’s actions have set a great example for others and are beginning to be emulated by them. This reflects well on the Commission as a whole and on Rick in particular. Rick will be honored February 3, 2014 at 9:00 a.m. at the Missouri Veterans Commission Central Office in Jefferson City, Missouri. 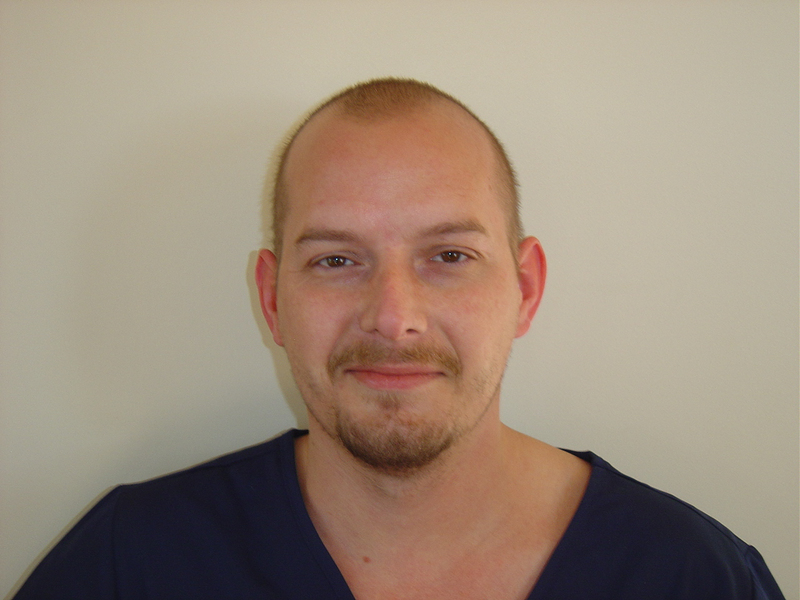 John was nominated by his peers and selected because of the extra mile he goes to ensure that the residents receive the best care possible. On December 24, 2013, John was assigned to pass out medications on the Special Care Unit. While passing out medications he noticed a resident was having difficulty breathing. John immediately checked on the resident, determined that he was choking, and began performing the Heimlich. Because of his quick response, the resident's life was saved. 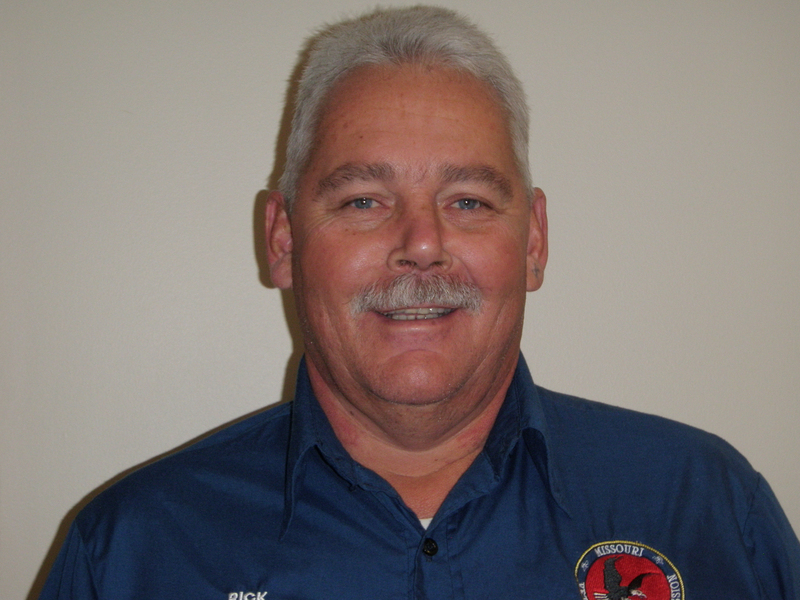 In addition to his regular duties, John frequently assists with resident transport and is willing to change his hours of work to accommodate a resident or facility need. John is a true asset to the residents and St. James Veterans Home. 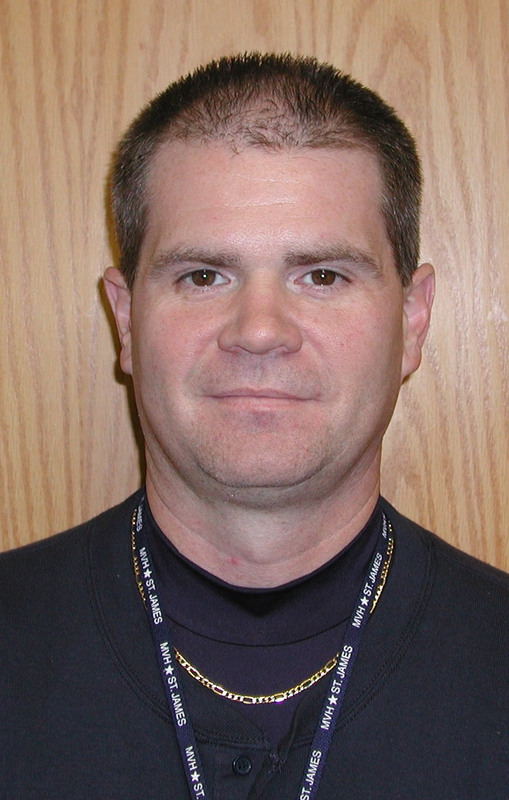 John will be honored March 18, 2014 at 1:30 p.m. at the Missouri Veterans Home – St. James in St. James, Missouri. Deloris was selected for the sincere and compassionate manner in which she served a resident during the final hours of his wife's life. Upon notification that his wife's life would soon end, Deloris drove the resident from the Veterans Home to the hospital so that he could be with his wife and their family during her final hours. Because of Deloris’ selfless service, the resident was able to present his wife with the final gift of a blanket he had purchased from the Veterans Home Christmas store. 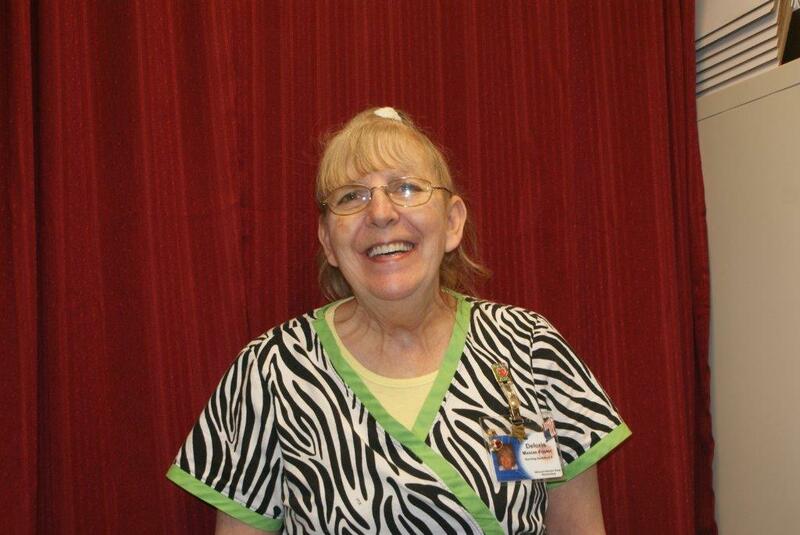 The family specifically noted in their nomination of Deloris for Employee of the Month her concern for the resident by the quiet and loving manner in which she continued to check on his well-being during this difficult time. Deloris’ kindness and dedication for those we serve reflects well on the Commission as a whole. She is a true role model for all Commission staff. Deloris will be honored April 23, 2014 at 2:30 p.m. at the Missouri Veterans Home – Warrensburg in Warrensburg, Missouri. Nicole was nominated by her peers and selected because of her dedication to Veterans. 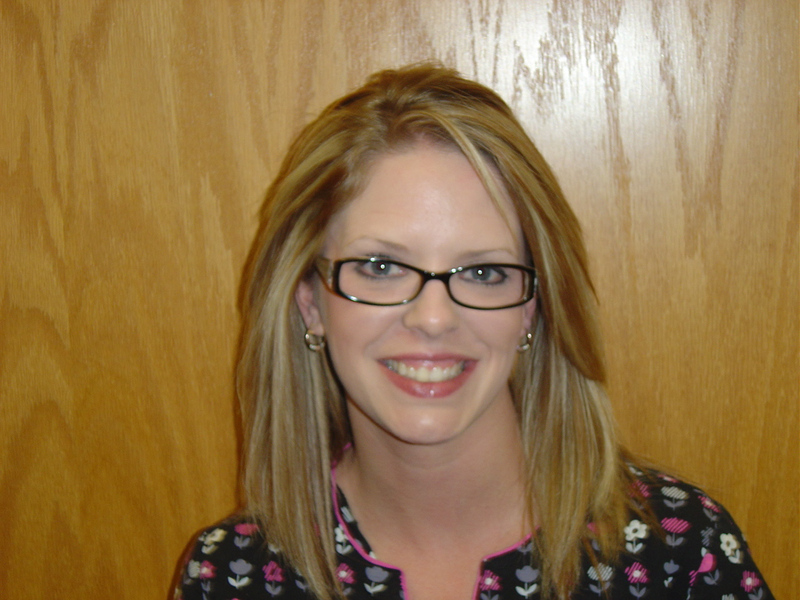 Nicole goes above and beyond her normal duties to show the Veterans she really cares. Recently, when some of the residents expressed interest in having a Super Bowl Party, Nicole came in on her day off, made some snacks and provided entertainment for everyone. Nicole is known for coming in on her days off, bringing her children to visit and scheduling fun activities for the Veterans, encouraging them to participate. This is all very special to the Veterans. Nicole's kindness and dedication for those we serve reflects well on the Commission as a whole and on herself in particular. Nicole is a true role model for all Commission staff. Nicole will be honored May 2, 2014 at 9:00 a.m. at the Missouri Veterans Home – Mexico in Mexico, Missouri. 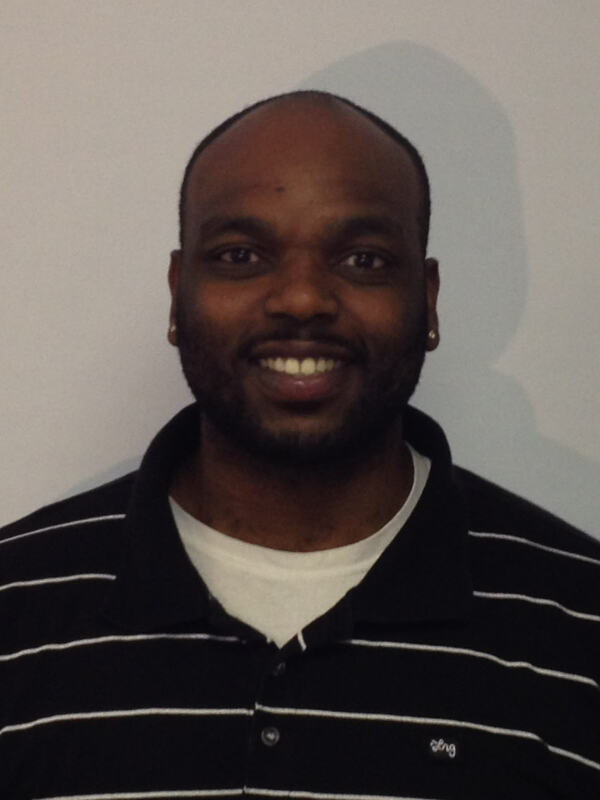 Robert was nominated by his peers and selected because of his dedication and efforts to assist his co­workers. On Easter Sunday, the drains backed up in the Laundry Department at the St. Louis Veterans Home and Robert made every effort to try and fix the problem. He could have easily made the call to the plumber and just let the water accumulate, but he decided to do what he could to help until a professional came in. While employed with the Missouri Veterans Commission, Robert has day after day exemplified true dedication to the Commission's Mission Statement of honoring and serving our Veterans. He is a true role model for all Commission staff. Robert’s dedication for those we serve reflects well on the Commission as a whole and on himself in particular. Robert will be honored June 11, 2014 at 11:00 a.m. at the Missouri Veterans Home – St. Louis in St. Louis, Missouri. Felicia was nominated by her peers and selected because of her daily ability in knowing specific Veteran needs and preferences and giving the best homelike, safe quality care in every interaction every day. The extra time Felicia took just to sit and joke with Veterans means so much to them. She inspires motivation and is a model of excellence for her co-workers to do the same. 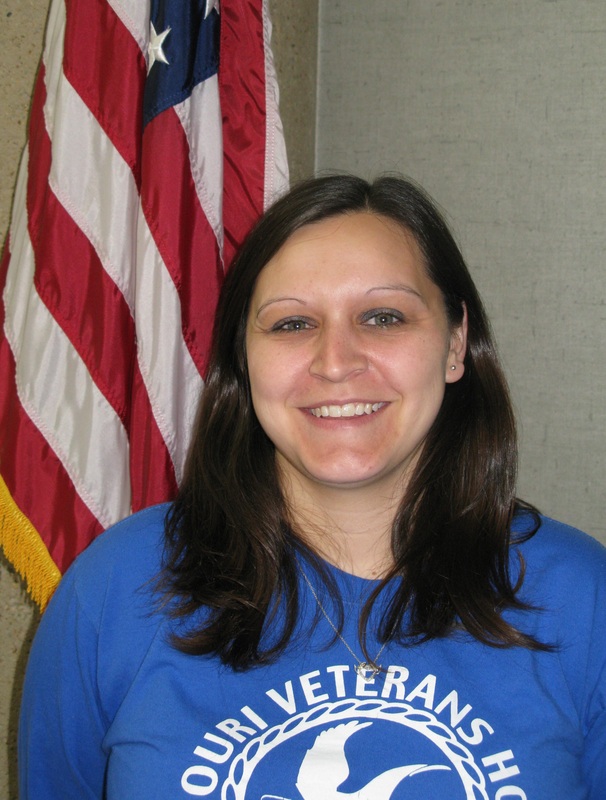 While employed with the Missouri Veterans Commission, Felicia has day after day exemplified true dedication to the Commission's Mission Statement of honoring and serving our Veterans. She is a true role model for all Commission staff. Felicia’s dedication for those we serve reflects well on the Commission as a whole and on herself in particular. Felicia will be honored July 15, 2014 at 2:30 p.m. at the Missouri Veterans Home – St. James in St. James, Missouri. Carita was nominated by her peers and selected because of the compassion she shows when helping Veterans and their families. One particular example of that compassion was when an elderly Veteran had his wife interred at the Higginsville State Veterans Cemetery in fall of 2012. Carita befriended this Veteran, and throughout numerous visits of his to the cemetery, Carita helped him quit drinking, get supportive help and meals from the Senior Center and a potential move closer to his children in Kansas. The Veteran visits every Thursday, weather permitting, to visit his wife and makes sure he stops in the office and have a couple of cups of coffee with Carita, chatting about the past weeks' events. Carita's compassion and determination has more than likely saved this veteran from loneliness and "giving up" after his wife passed away. Carita is also task oriented and extremely competent, bringing superb efficiency, productivity and organization skills to the facility. Her compassion and kindness for those we serve reflects well on the Commission as a whole and on herself in particular. Carita will be honored August 20, 2014 at 1:30 p.m. at the Missouri Veterans Cemetery – Higginsville in Higginsville, Missouri. Lisa was nominated by her peers and selected for her exceptional performance. Her workload increased significantly with assisting the Veterans at the Kennett and Bloomfield VSO locations, yet Lisa maintained her status as one of the top ten MVC VSO’s in submitting and processing fully developed claims. 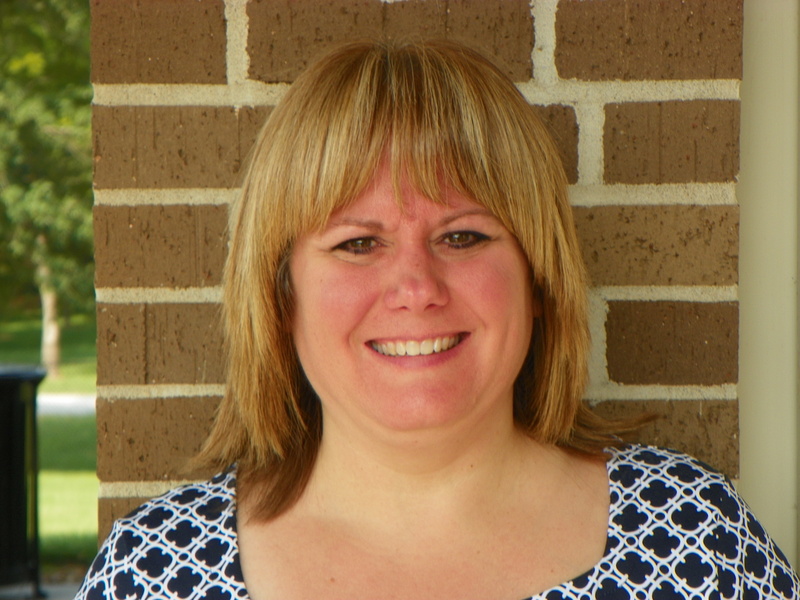 While employed with the Missouri Veterans Commission Lisa has day after day exemplified true dedication to the Commission's Mission Statement of honoring and serving our Veterans. She is a true role model for all Commission staff. Lisa’s dedication for those we serve reflects well on the Commission as a whole and on herself in particular. 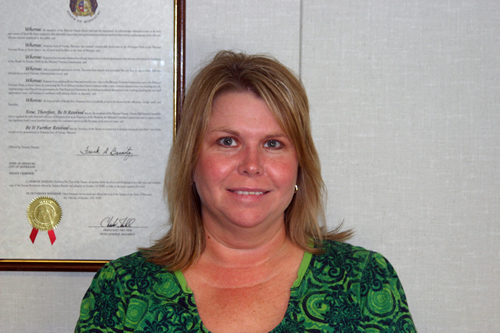 Lisa will be honored October 8, 2014 at the Missouri Veterans Commission Veterans Service Officer Training Conference in Springfield, Missouri. Donnetta was nominated by her peers and selected because of her willingness to go above and beyond when she took on the task of updating an outdated Fleet Management System for the Homes Program. Her organizational skills enabled her to find the time over a several week period to work on this while also keeping up her other duties. Donnetta was required to learn the Fleet Management System through interaction with the state fleet manager and coordinate her efforts collaboratively with central office purchasing. In addition, the task required Donnetta to assemble several months of historical data in order to ascertain a starting point for the project and ultimately bring all records up to current status. This project took countless hours of effort over a multiple week period of time and Donnetta's determination to complete the task was unwavering. While employed with the Missouri Veterans Commission Donnetta has day after day exemplified true dedication to the Commission's Mission Statement of honoring and serving our Veterans. She is a true role model for all Commission staff. Donnetta’s dedication for those we serve reflects well on the Commission as a whole and on herself in particular. Donnetta will be honored October 7, 2014 at the Annual Veterans Homes Conference in Springfield, Missouri. Jerilyn was nominated by her peers and selected because of her many accomplishments this year. 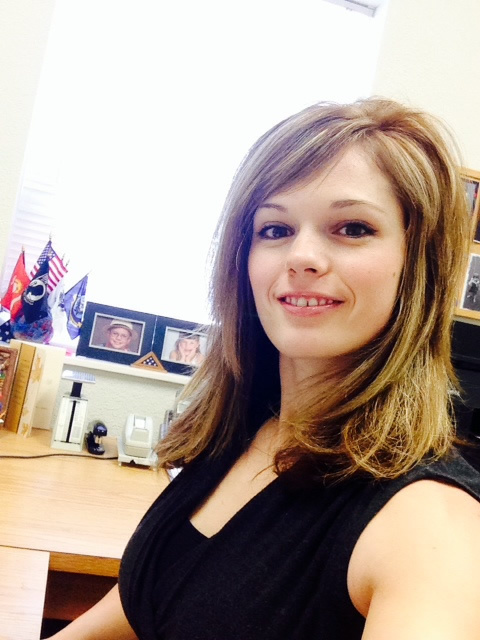 Jerilyn was the driving force behind the Veterans Service Programs entry onto the Commission’s SharePoint program. Her coordinating efforts to place the necessary information on SharePoint was instrumental in getting this up and running for all Veterans Service Program personnel to see. It is now a vital communication and planning tool thanks to her efforts. Jerilyn was also part of the Claims Management Systems review committee to set the standards for the Request for Proposal. She set up the many meetings needed to prepare the RFP and gave considerable input as to what was needed for reports, forms, data input, and general system requirements. A vendor has been selected and a new Claims Management System has now been installed and ready for testing. Jerilyn is the expert in keeping up the Department of Veterans Affairs procedures for Veteran Service Office accreditation, privacy awareness, and cyber security requirements. 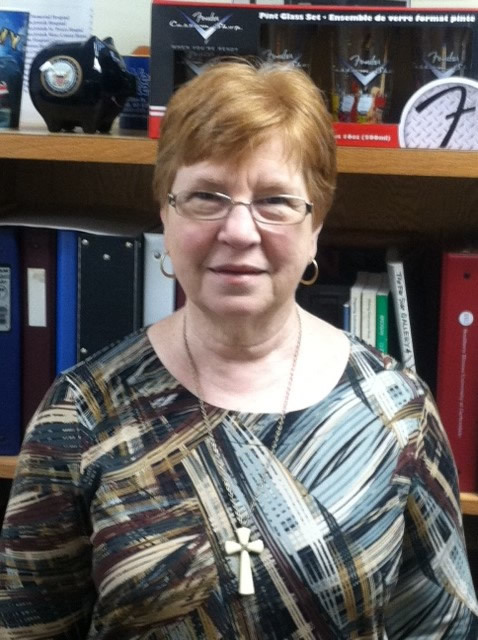 She has oversight of the Senior Office Support Assistants who work in the Veterans Service Offices across the State. She ensures all reports, timekeeping and administrative requirements are timely and without error. She is the one who collects the monthly reports from the five Veterans Service Program Regions and compiles them into the Director's Brief PowerPoint. While employed with the Missouri Veterans Commission Jerilyn has day after day exemplified true dedication to the Commission's Mission Statement of honoring and serving our Veterans. She is a true role model for all Commission staff. Jerilyn will be honored at an 11 a.m. ceremony on November 10, 2014 at the Missouri Veterans Home – St. Louis, in St. Louis, Missouri. Justin was nominated by his peers and selected because of the great attitude he displays and the willingness to go above and beyond to help his co-workers and the Veterans he cares for. Justin cares for our Veterans in a respectful manner and provides them with the dignity they deserve. He comes to work every day with a smile and in a positive mood. He is dependable, completing tasks asked of him in a timely manner. If he observes something needing to be done, Justin will do the task without being asked or with question. If a Veteran makes a request of him, he will immediately respond to their request. 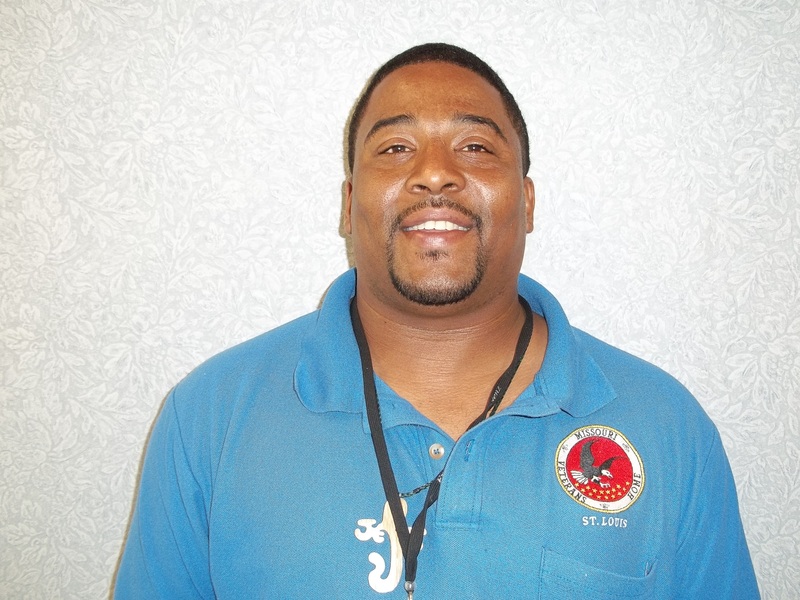 Justin helps the CNAs on the care neighborhood when asked, so Veterans can experience timely care. If anyone expresses concern regarding a Veteran's wellbeing, either care or medically, Justin will immediately respond to the situation. Justin makes it his priority every day to ensure the Veterans receive the best care possible. He does this in a manner that is respectful to the Veteran and other staff members, as well as provides the Veterans with the dignity they deserve. While employed with the Missouri Veterans Commission Justin has day after day exemplified true dedication to the Commission's Mission Statement of honoring and serving our Veterans. He is a true role model for all Commission staff. Justin will be honored December 16, 2014 at the Missouri Veterans Home – St. Louis, in St. Louis, Missouri.